Blanche-Neige et les sept Nains (Snow White and the Seven Dwarfs) Studio Walt Disney 1937. 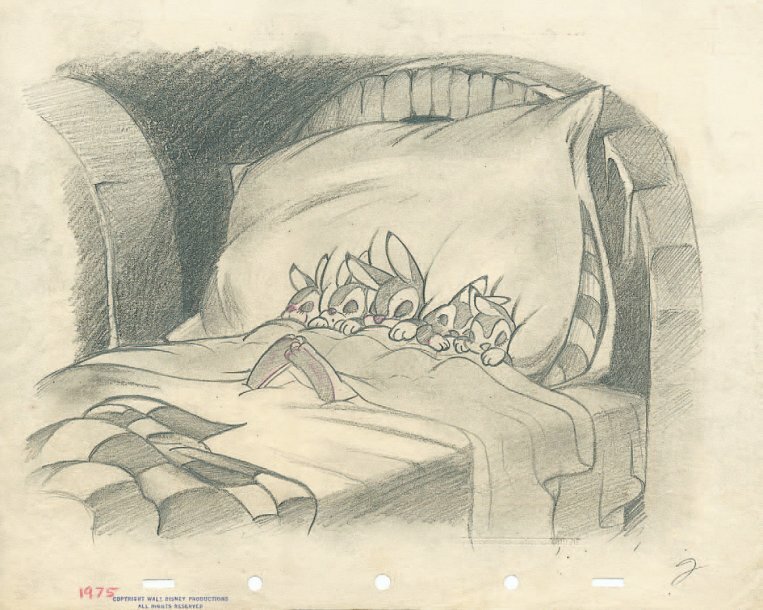 Dessin de layout original Des lapins dans le lit. Format : 25,5 x 30 cm.